Herbal vinegars have been in use for thousands of years. Those of the ancient world quickly learned to combine vinegar with beneficial plants for maximum medicinal value. Yet, the virtues of healing herbs are only now beginning to be understood by the scientific community. Some examples of vinegars considered to be both healthful and antiseptic are listed below. When herbal vinegars are used for medicinal purposes, the usual dose is one to three teaspoons added to a full glass of water. They can also be sprinkled into meat and vegetable dishes or splashed on salads. The very strong vinegars, and the very bitter ones, should be used sparingly, and only for external purposes. Natural, organic vinegars are not the same as commercially processed and pasteurized products. 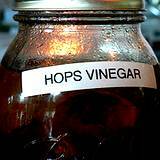 In its most natural state vinegar is alive with living organisms. These naturally occurring creatures, as well as some enzymes and vitamins are destroyed when vinegar is processed in a high heat process, such as pasteurization. To enjoy the full benefits of vinegar you should always buy natural apple cider vinegar complete with the mother of vinegar . Let a bottle of wine stand open in the air under the summer sun for about 2 weeks, it will turn into a nice tasting vinegar. Make, what is known as, a winter-vinegar, by letting wine stand open to the air for about a month. Put 2 pounds of raisins in a gallon of water and set it in a warm place. In 2 months it will become white wine vinegar. Just strain the vinegar off and bottle it. You can make some more vinegar by adding another ½ pound of raisins to the dredges and going through the process again. Make a deeply colored Honey Vinegar by pouring 1 gallon of boiling water over 5 pounds of strained honey. Stir until all of the honey is melted. Then dissolve 1 cake of (or package) of yeast in 1 tablespoon of warm water. Spread the yeast on a dry corncob (or a slice of toast) and float it on the top of the honey-water. Cover the container with a cloth and let it set for 16 days. Take out the corncob, skim off the scum, and strain the liquid. Now let it stand for a month or so, until it turns into vinegar. Dark honeys ferment much faster than light ones. Add a cup or two of fruit juice or molasses to honey to speed the change to vinegar. Because the sugar content of honey varies a lot, you may want to check and see if your water to honey ratio is correct. Do this by dropping an egg into mixture it should float in the liquid with only a small spot showing about the surface. If the egg sinks, add more honey, if the egg floats too high, add more water. This method should assure you that the specific gravity of the mix is about 1.05, the best for making good honey vinegar. For extra special, Clover Flavored Vinegar add a quart of freshly washed clover blossoms to the honey and water mix. Dandelions add a unique taste to honey vinegar. Just add 3 cups of blossoms to the honey and water. Be sure to strain it before using! Raspberry Vinegar can be prepared by pouring 2 quarts of water over 1 quart of freshly washed red or black raspberries. Cover lightly and let it stand overnight. Strain off the liquid and discard the berries. Now prepare another quart (freshly washed) of fresh raspberries and pour the same liquid over them. Let this set overnight. Do this for a total of 5 times. Then add 1 pound of sugar to the liquid and stir until it is dissolved. Set this mixture aside, uncovered, for a couple of months. Make sure you strain raspberry vinegar mixture before using. If you're as fussy as I am about letting something sit for months, uncovered, try using a very fine mesh screen to cover your vinegar mixture, I've also used cheese cloth secured with rubber bands to cover the top of the container. It will help keep the bugs from landing on your herbal mix and laying eggs. 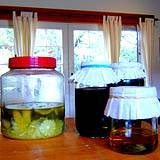 The most important thing is to make sure your herbal vinegar is exposed to the air to ferment. Dandelion adds its mild laxative nature to vinegar's natural antiseptic qualities. It also has an anti-inflammatory effect on the intestines. 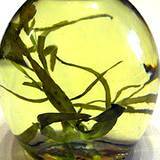 This is an old fold remedy for ailments of the pancreas and liver, said to ease jaundice and cirrhosis. Dandelion is also a diuretic and rich in potassium. 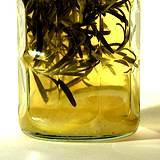 Sage vinegar add a nice delicate flavor to meats and tenderizes the toughest of meats. This herbal vinegar is also known to be used as a mild tranquilizer for nervous conditions. Peppermint vinegar settles the stomach and calms the digestive system. Use a couple of teaspoons of peppermint vinegar added to a cup of water to ease stomach cramps, diarrhea, or gas. If you add a teaspoon of honey you'll find that it's the best tasting cure for indigestion. Rosemary is known as the herb of remembrance. 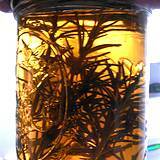 Combine rosemary with Apple Cider Vinegar and it will boost the memory and relieves tension, headaches, and dizziness. Lavender makes vinegar pleasantly aromatic and useful for fighting off anxiety attacks. Thyme vinegar when applied to the body will deter fungus growth. Clove vinegar is especially good for stopping vomiting. This remedy dates to China over 2000 years. 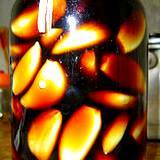 It is also considered to be an aphrodisiac.